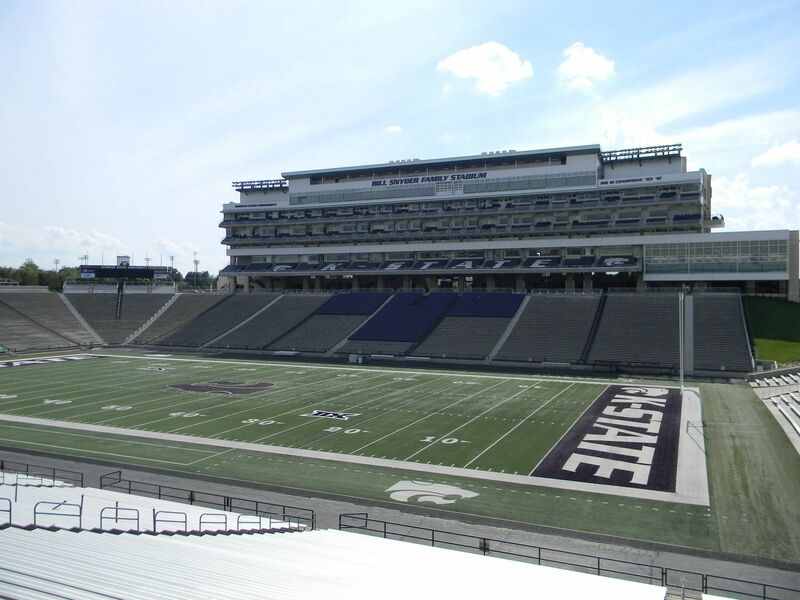 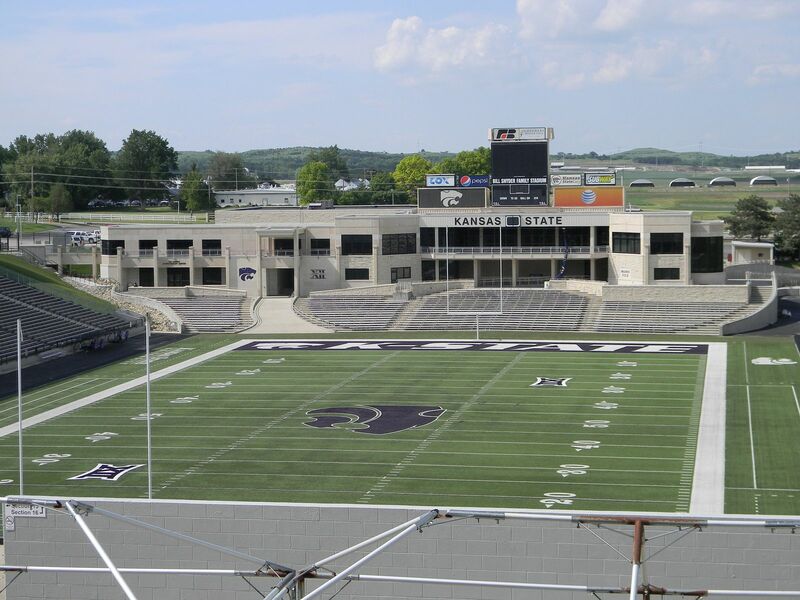 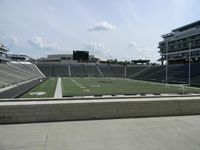 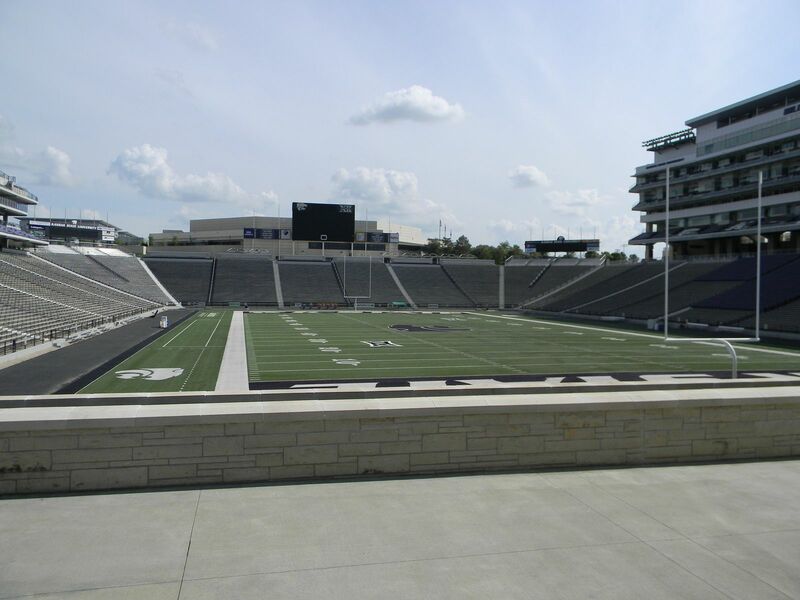 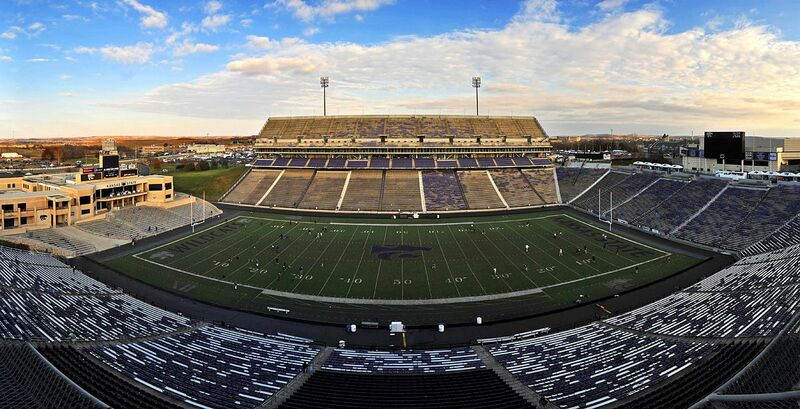 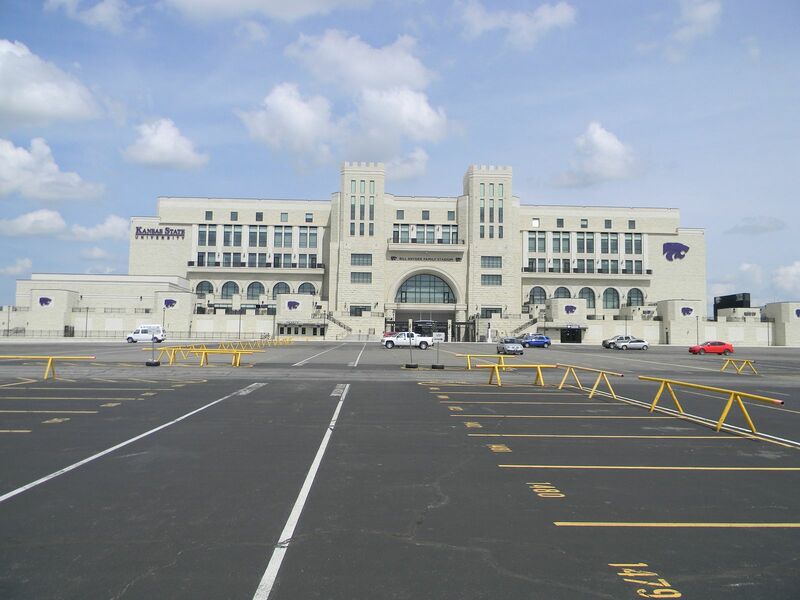 Kansas State University is one of those few colleges to have two football stadiums on campus. 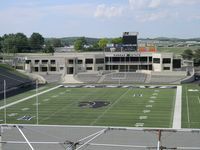 First one is the southern Memorial Stadium, dating back to 1922. In 1968 the new stadium (north) was built to replace it, but actually both still operate today. 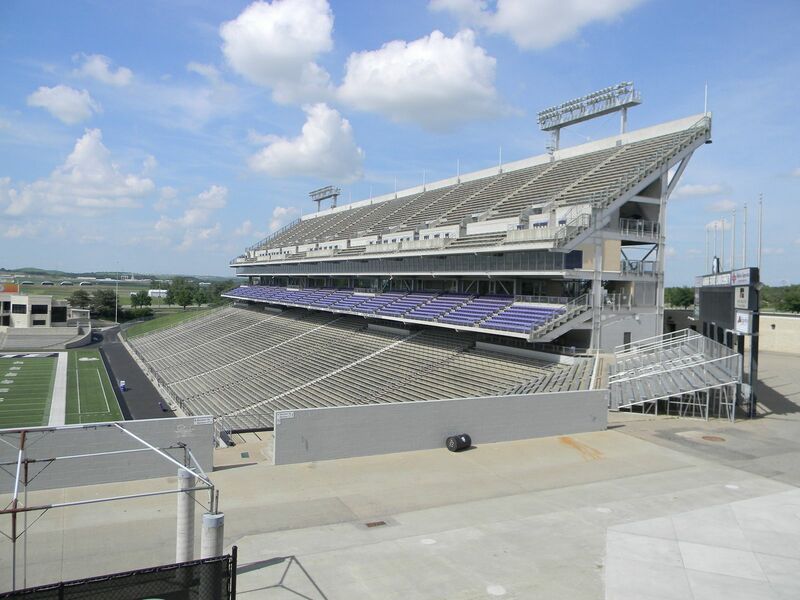 The newer stadium is also much greater. 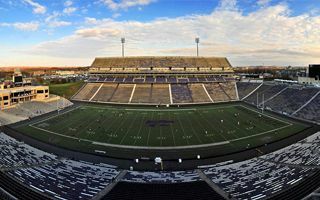 Already upon opening the U-shaped stands had 35,000 capacity on a single tier. Over the years capacity was going up, but mostly temporarily. 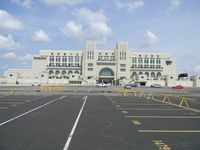 In 1970 an eastern upper deck for 4,000 people was added, later demolished. 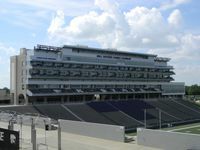 In 1998 the entire east stand received a much greater upper tier, becoming the largest in terms of capacity. Another change in capacity came in 2006, when a modest north side was added, holding some 1,900 people. While the stands stopped growing at that point, Kansas State University invested a fortune in upgrading the stadium for the new millennium. 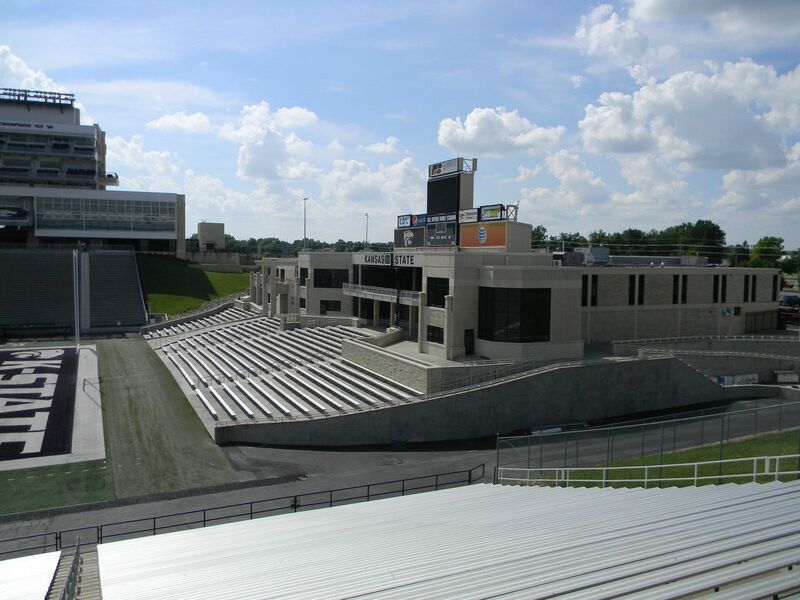 In 2013 the western grandstand received a large new main building covered in limestone. 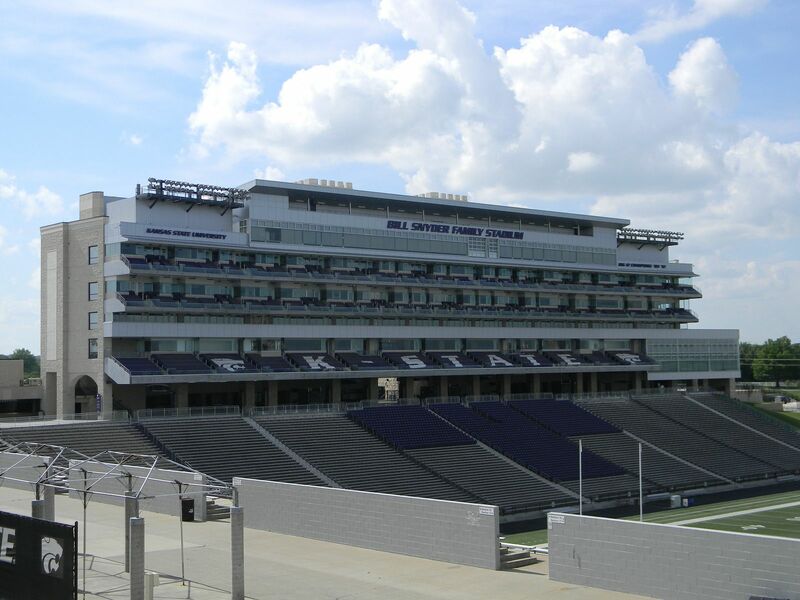 It holds enhanced corporate facilities, topping the actual stand with several floors of press and business seats. 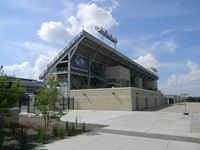 Then in 2015 the Vanier Football Complex was built in the north, improving sporting and administrative facilities.